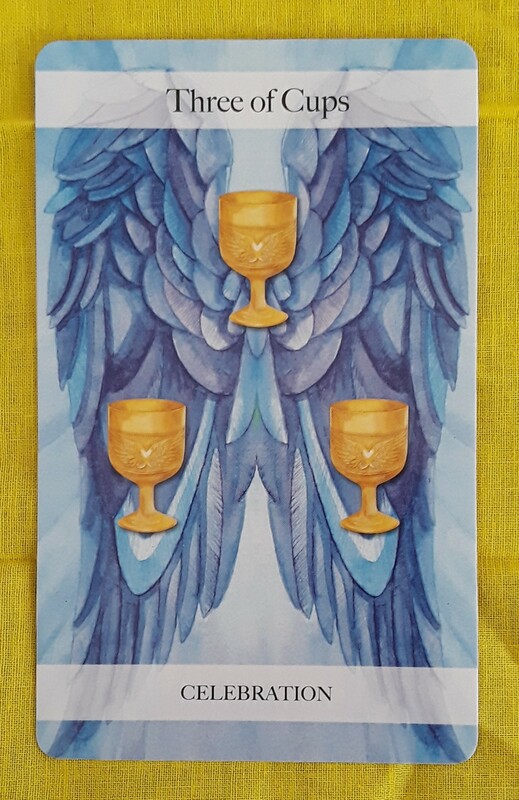 The Tarot cards for today, Saturday, and Sunday are the Seven of Pentacles and Temperance. This week our theme was opposing forces and today we continue with that idea. 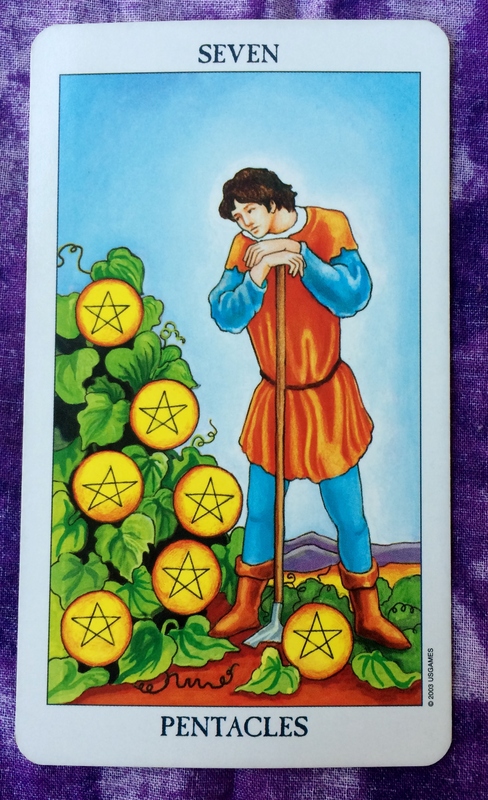 The Seven of Pentacles suggests that maybe you have invested time/money/emotions in a project, person, or just about anything. Now you are hoping to get something in return for the effort you put in. You may be getting impatient. 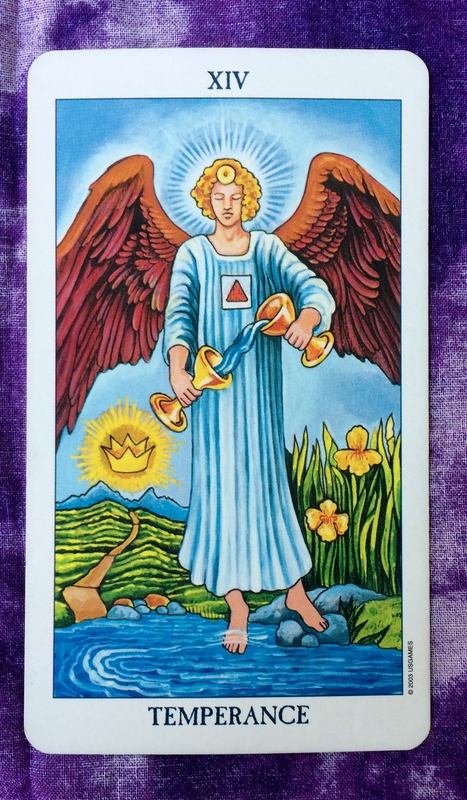 The Temperance card is saying, “Don’t stress over it.” Go with the flow. You have already put the effort in. Enjoy the other things life has to offer and the results will show themselves in time. The Tarot card for today is the Seven of Pentacles. Patience, my friend. If it seems as though things are at a standstill, plans are delayed, or you are otherwise feeling stuck, don’t worry. Your goals will come to fruition in due time. Keep nurturing them — and just allow. 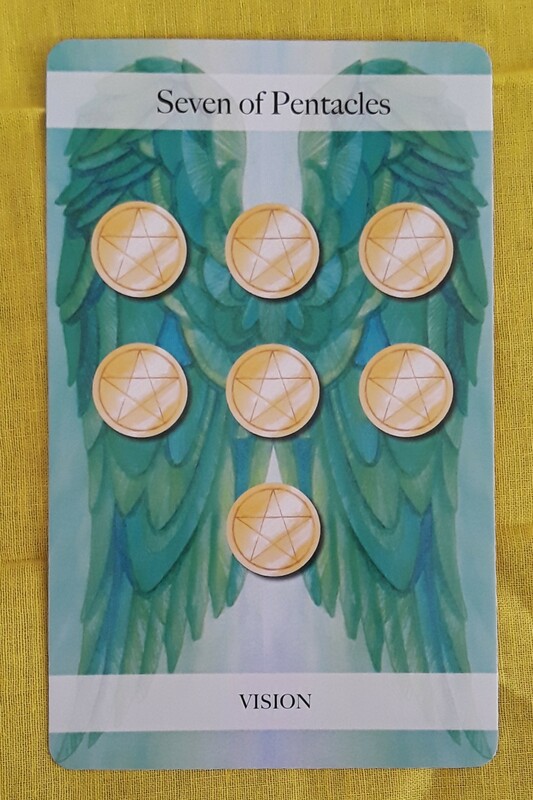 Today’s card is the Seven of Pentacles. You’ve been working hard and you are now starting to see a return on your investment. 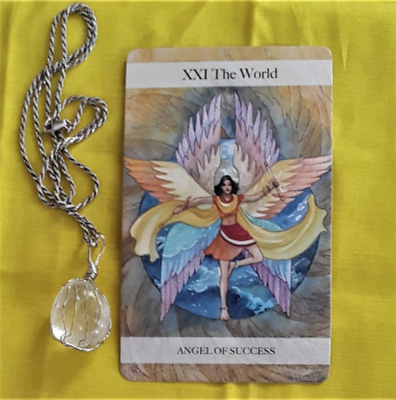 This investment could be money, time spent working on a project, emotional investment put into a relatively new relationship, or energy put into fixing an established relationship. Things are going well but you think that it could be better. You may want to start over again and do things differently. However, remember that instant perfection is not the goal. Be happy with how things are going so far and build on what you already have. Stick with the plan. You have accomplished a lot. Be grateful for how far you’ve come and optimistic about where you will be . Your return will grow even bigger before you know it.